I’ve been recently organising a ‘best of 2014’ image gallery (post to follow) and was reminded of an image I’d taken whilst working on a construction shoot. 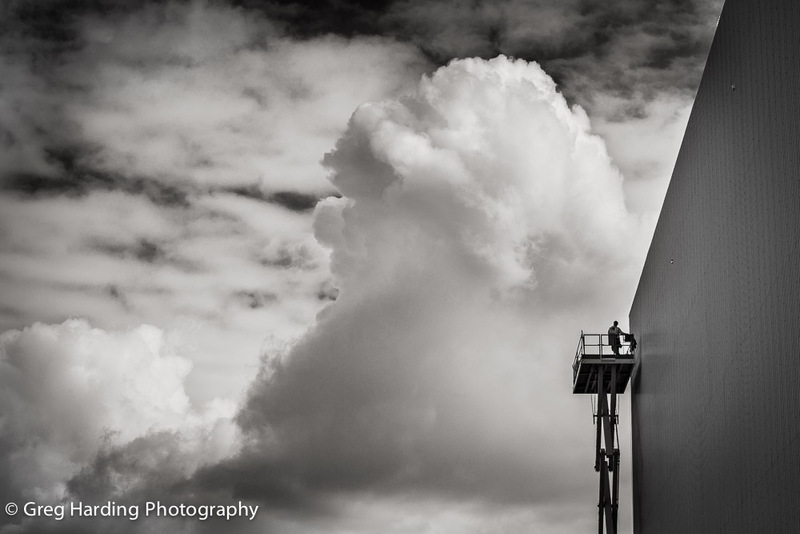 This image shows a construction worker on an elevated platform looking thoughtfully towards a dramatic sky. The clouds provide a sense of the height that the construction worker is working at and adds a lovely contrast to the flat uniform side elevation of the building. I love seeing the sky in black and white, I think you gain a greater appreciation of the textures and depth when you don’t have the distraction of colour. What do you think? This is definitely one of my favourites from 2014.